Forest degradation is a severe threat to the provision of ecosystem services, such as timber production, biodiversity and hydrogeological protection. Forest abandonment is one of the main causes of forest degradation in Mediterranean areas where the low value-added of forest activities affects economic sustainability. This issue requires urgent restoration actions which must be supported by cost–benefit analysis that comprises all forestry activities that generate income, including the recreational ones. 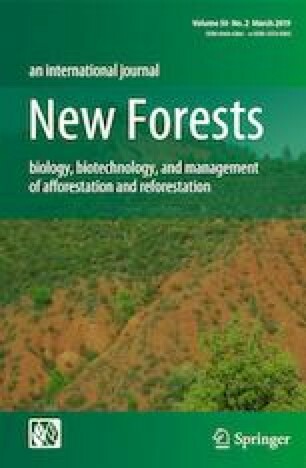 In effect, while the impact of forest management systems on timber production is well studied, the impact of recreational values is not. The present article intends to demonstrate that different forms of forest management result in a differing willingness to pay (WTP) for maintaining the recreational use of forests. We collected 248 questionnaires from respondents who confirmed their WTP for the maintenance of the recreational function of forests under three management systems: coppice, active conversion to high forest, and the natural evolution of forests. Moreover, we tested the influence of certain socio-demographic variables on individual WTP. Users elicited a high preference for conversion to high forest, while natural evolution was the least preferred management system. Moreover, males and users with higher levels of education had a greater WTP for conversion to the high forest approach. The results that contributed to this work have been funded by the LIFE Programme of the European Commission under the Grant Agreement LIFE14 ENV/IT/000514 (LIFE FutureForCoppiceS, “Shaping future forestry for sustainable coppices in Southern Europe: the legacy of past management trials”).